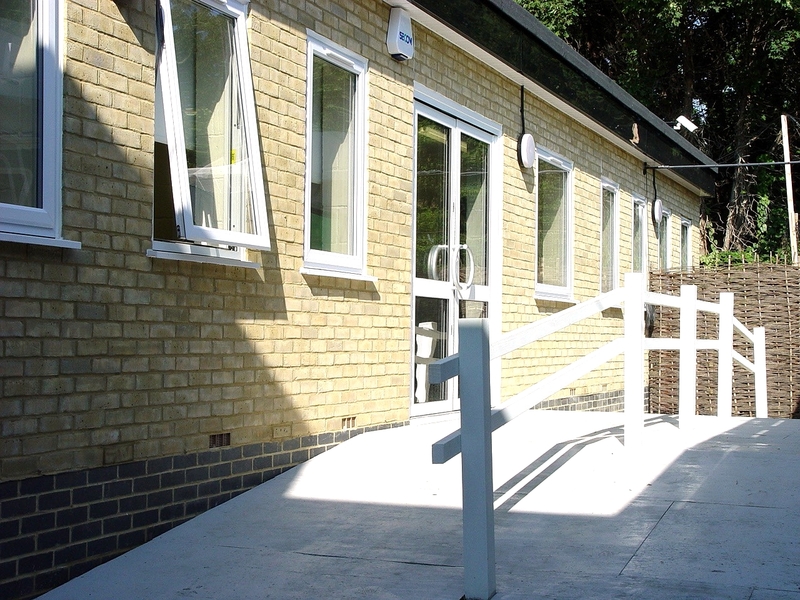 The post 16 unit based on the Turney site enables students to develop the necessary life and independence skills to successfully transition from school to college, as well as continuing to develop English, maths, communication and ICT skills. Work experience – in partnership with Cubitt Play Centre, as well as managing their own café and volunteering in the community. Understanding how to use ICT in the workplace – developing ‘word’ skills, photocopying, recycling, cleaning and maintenance, working with pets and animals. Leisure for life – swimming, cycling, yoga, sport, trampoline, countryside visits, visiting and learning how to access and enjoy museums, art galleries and sports centres for leisure, stories and reading for pleasure. Healthy eating – planning, shopping and cooking for every day meals, developing and preparing menus for the café, growing vegetables and working on the school allotment. Daily living – travelling on public transport, managing the laundry, shopping, household tasks, personal care, dressing for different activities, personal safety. Social and behaviour development – learning daily routines and how to cope with change, relating to others in a group, experiencing a range of social settings. Music and drama – music therapy, creative arts through drama and art. Communication, literacy and numeracy – reading in the community through travel, shopping and eating out, reading for pleasure and information in school. The students are in groups of up to 10 with a teacher and 2-3 teaching assistants. They are also supported through the speech and occupational therapists. Students need a statement or Education Health Care Plan to access this course. 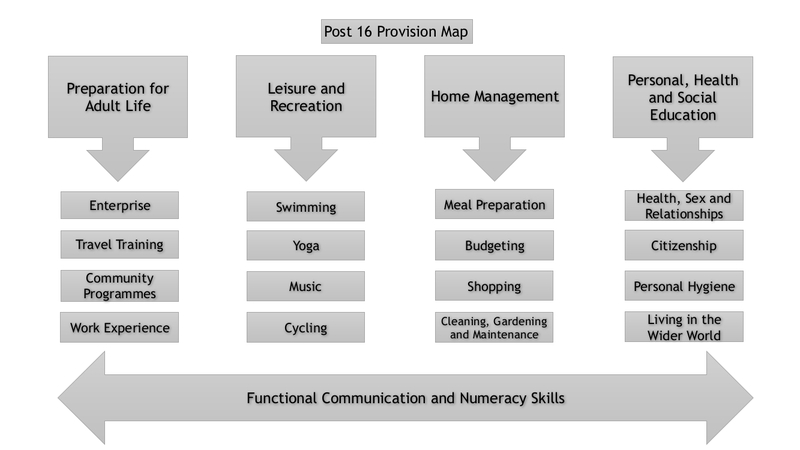 The following provision map forms the current curriculum.